...oder Jalousien, auch wenn ich mir nicht sicher bin, wie diese im Raum aussehen würden. Ganz elegant wäre natürlich die Lösung, außen Rolläden anzubringen, so wie solche von creon. Ist natürlich schwierig in einer Mietwohnung, dafür wäre es wirklich dunkel! Was denkt ihr, was ist euer Favorit? 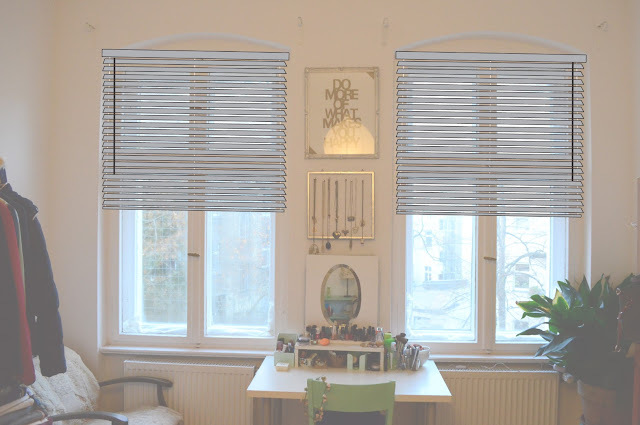 ...or Venetian blinds, even though I am not sure how they would look in the room. Very elegant would be to have blinds outside, like these from creon. Of course, quite difficult in a rented flat, but at least it would be really dark then! What do you think, what is your favourite? Lovely ideas thanks for sharing. I love this, and it has an almost 3d effect. I love the second and last inspirations, those look great and seem to suit the area. Ich glaube bei euch würden helle bodenlange Vorhänge toll aussehen weil der Raum an sich auch so schön hell ist. The second one is more office-like. Allerliebste Grüße und ein wunderschönes Advents-Wochenende! Great ideas, Kati. I like the long curtains and the last blinds the best. It's so hard to decide on these things! We have the shorter curtains in our bedroom, but I think I would rather have gone with the long ones. We have a ceiling fan and when it's on, it likes to blow the curtains up from the bottom, which is not very fun if I'm in the middle of changing! 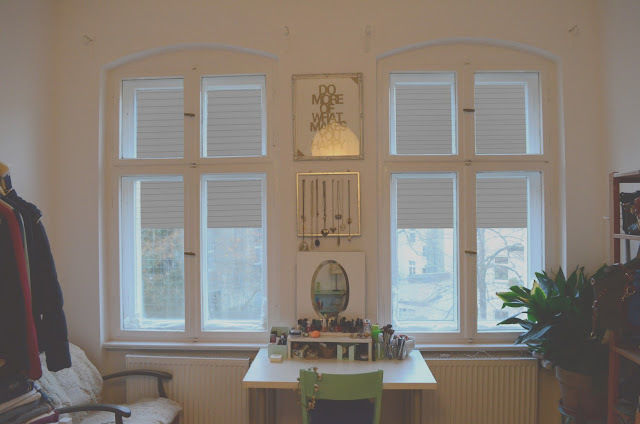 I always like Venetian blinds the most but agree it can be hard in a rented flat. It would be so nice to have all that window space to style. If you want it to keep out the light at night I guess the blinds are most functional. But floor length curtains are just so pretty! Toller Post und deine Ideen sind ja toll gezeigt ! 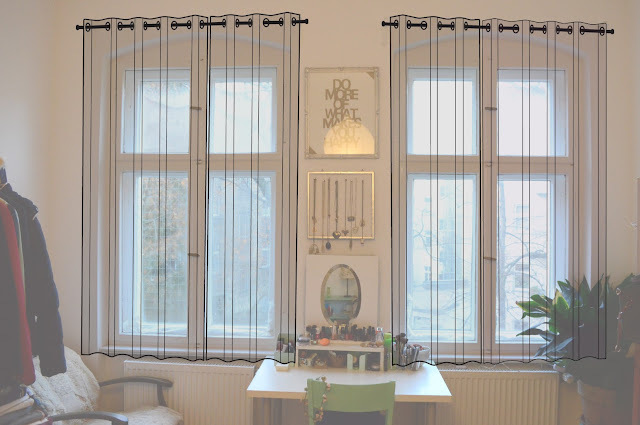 I think blinds are the more practical option while the curtain is the prettier option!